The King Biomat comes with a clear silicon urethane panel over the whole surface of Biomat allowing you to view the Amethyst stones underneath. Also, the King Biomat comes with a control panel with variable heat settings, a 100% cotton quilted cover. Each side of the King Biomat can be controlled separately from the one controller. Eight variable Setting Control Panel. The Biomat King contains 35 pounds of amethyst crystal. The Amethyst Pillow is not included. Unlike a heating pad or electric blanket, the Biomat pad does not get hot when on, but when you lay down on it, your body gets warm from the Far Infrared Rays emitting from the Biomat. It doesn't give off harmful electromagnetic waves like electric blankets and heating pads. It comes with a control box that converts AC to DC, using only 12 volts of electricity, which reduces consumption by up to 60%. The Biomat produces far infrared rays and negative ion vibratory signals through a Texas Instruments computer system. This new health technology works without electric coils or magnets, both research has shown to weaken cellular vitality. These signals are sent into an amethyst crystal bed, arranged in channels, through a remote messaging system. Biomats will help with back pain, muscle spasms, arthritis, increased circulation where applied, joint pain and muscle pain. 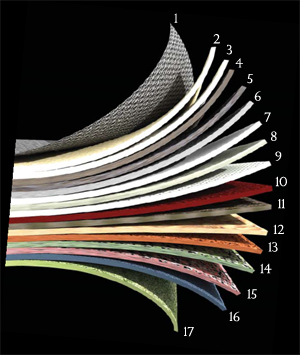 The King Biomat is the granddaddy of all Biomats. Fits a king sized bed. Through research done by Dr. Takada Maku in Japan, it was discovered that when negative ions are introduced, the ions in calcium and natrium (salt) in the blood increase, thus the blood is purified by increasing blood alkalinity. When the amount of negative ions in the blood are increased, the function of a cell is activated. This electrical material exchange quickens the cell function, and as a result, nutrition is fully absorbed by the cell and waste materials are eliminated. Metabolism is increased and the function of the cell is gradually revived, which results in clearer skin, weight loss and energy gain.